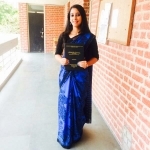 Ayushi Chaswal from Dehri, B.Sc Graduate. Ayushi Chaswal is Human Development Specialist and currently have no work experience. PROJECT CO-ORDINATI.. INTERVIEW OBSERVATION SKILLS RESEARCH ANALYSIS SURVEY RESEARCH & AN..
are one of expert skill area's of Ayushi Chaswal . Ayushi Chaswal is working in Teaching/Academic/Education industry.